Cougar bourbon is an American whiskey that is commercially available in Australia. It is aged five years and bottled at 37% alcohol. It is also one of the best value bourbons on the Australian market in my view, alongside Jim Beam Devil’s Cut. In bars and bottle shops I see bourbons and whisky selling for ridiculous amounts of money. Why? This $28 bourbon is top shelf quality… read on to see my tasting notes and view the legendary advertisement that made Cougar famous in Australia. Of course, it is not the most complex bourbon and it is slightly bitter with a heavy toasted oak influence, but it is very good! Getting more familiar with this bourbon, it is clear that this is very smooth and crisp bourbon! 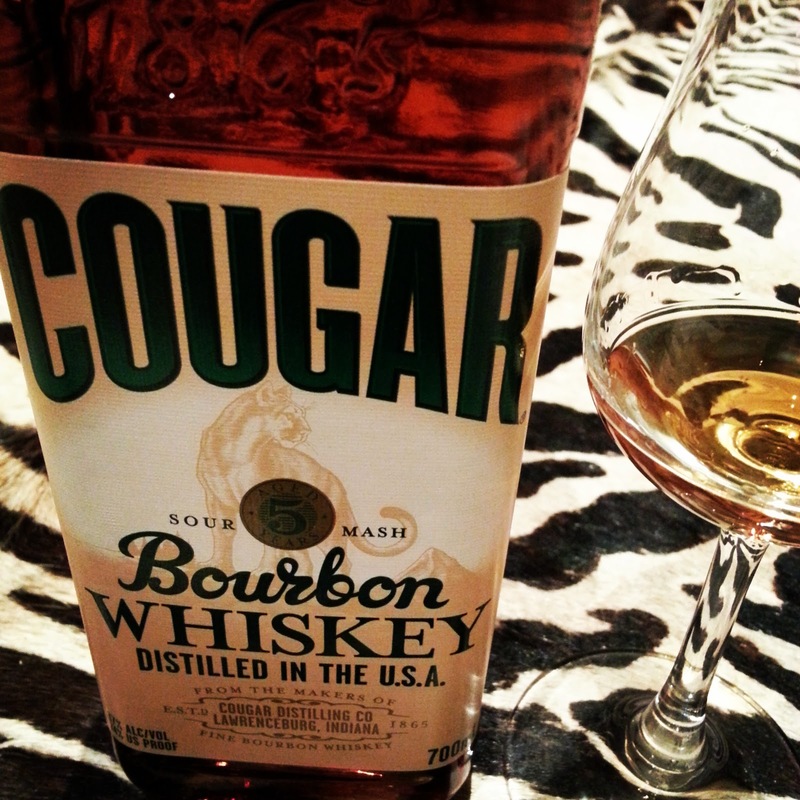 Cougar: The Aussie Bourbon… mate! Cougar bourbon might be an American whiskey, but it is as Australian as a meat pie made with imported ingredients and showcases Australian identity like a pair of “budgie smugglers”.Cougar is a brand owned by the Fosters Group, an iconic Australian beer with a massive following internationally. Cougar is a sour mash and aged for five years in Indiana, United States. Cougar was made particularly famous in Australia by the below advertisement which has legendary status now, and it continues to be associated with the mantra “I’ll have a Cougar thanks!“. This advertisement reflects an Australian sense of humour, which further shows just how much we have embraced this branding in our cultural psyche. Oh yes, you came here for the whiskey review didn’t you? This bourbon is crisp and surprisingly weighty for a whiskey of 37% alcohol volume. Almost immediately the sharp grain carves its way through the sweetness, with the corn leading the assault while the oak balances against the sugary sweetness looming. Sweet sugary raisin is drenched in maple syrup and splashed with vanilla, as toasted oak and corn pounce on the sweetness; stopping it in its tracks until it only pulsates gently. That beaming sweetness somehow regains its feet and charges wildly smashing against a mountain of earthiness. This bourbon really does have it all, with a sour cherry on top. Then comes the buttermilk, as a creaminess wafts up adding some playfulness to an otherwise seriously awesome whiskey. This stuff oozes with character and it is seriously good too! A bit slow on the entry, this cat picks up its pace very quickly as it moves in for the kill. It smashes the palate with sweet brown sugar and raisins, as the bitter toasted oak claws away the sweetness and reveals waffles over which rum and raisin ice cream slowly melts away with some licorice; softening it in the process to let that grainy corn and rye tickle the base of the tongue with its earthy goodness. This is a bitter bourbon, though in my view it is superbly balanced in that it is not dominated by sweetness. That oak and grain sure do play an integral role. So sharp and crisp! Sensational bourbon. The finish on this bourbon is lovely, the bitter oak slams against the tongue and pulsates burning with some sweetness and the shining brightness of corn.